Mangaluru, Mar 28, 2017: Mangaluru City Corporation has now decided on a new schedule for water rationing that has been implemented. From March 27, Monday, water will be supplied for three days, then discontinued for the next two days. Mayor Kavita Sanil said that it was being done so that water reached areas in the city that were located uphill. 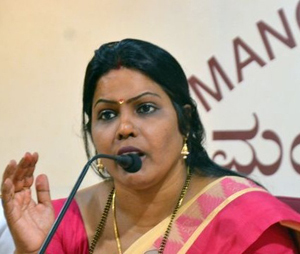 She said that the civic body had received complaints that water failed to reach areas such as Falnir and Kankanady-Valencia once the 36-hour supply schedule was adopted. Meanwhile, the Mayor has asked people to use less water in the next two months. She informed that she had been receiving complaints that people used water to spray on roads; thus she urged people not to waste water. Sources have said that water level in the Thumbe Dam stood at 4.90 meters on March 26, Sunday against the maximum storage capacity of 5 meters while the water level in AMR Dam stood at 5.35 meters as against the maximum storage level of 6.25 meters. Is your flush adjusted mam? It is making the river deep which help to store the water.